One week down of the 31-Day challenge! 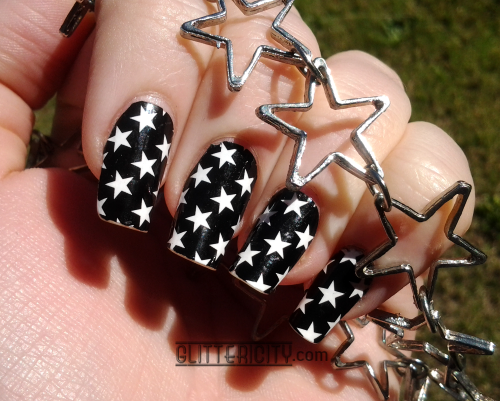 For my black and white nails, I pulled out something I don't use very often--nail strips! But my fears were unfounded--they were nice and pliable and easy to apply. I did have to trim them, but this too was easy. I didn't topcoat them, since I've had topcoat ruin nail strips before. They probably would have been OK, but hey, I'm only wearing them for a day anyway, right? Plus, I think tipwear and chipping actually works well with this look. Makes it seem more authentic grunge-rock-chic. "Oops, sorry my nail polish isn't perfect, I've just been shredding on my guitar all night." 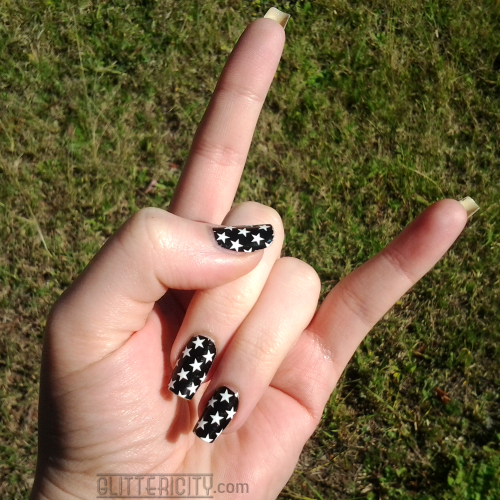 I cheated and did these nails a few days early, because I went to a rock/metal concert Saturday night and thought they'd be perfect for the occasion. 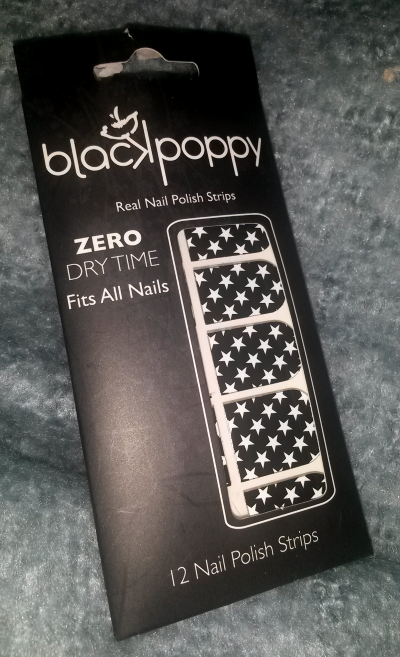 I can't find much information about Black Poppy. The only place I ever saw the brand was at Charlotte Russe stores in the US, and that was a while ago. Anybody know if they're still around? 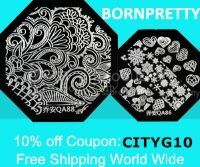 The nail strips are great, and I have a couple of polishes by them that are pretty and good quality as well. Look for them if you're ever in a CR store!